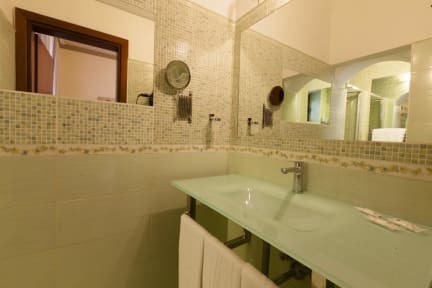 Hotel Ester (3-star) is managed by young, friendly staff, and is located in the historical centre of Florence therefore walking distance to all of Florence's main attractions and a 5-minute walk from Santa Maria Novella railway station. All rooms have comfortable beds, free high-speed Wi-Fi, Flat screen TV, heat & air conditioning, and private bathrooms with showers. We also have laundry services, access to a kitchen, and free calls abroad to most countries! Your hosts Marco, Anna, Carmelo, Angelica, and Pardis will be happy to help you organize your stay in Florence and suggest sights to see, things to do, and where to eat while visiting one of the most beautiful cities in the world! All around amazing place to stay in Florence. Staff is exceptionally friendly and helpful, and beds have the most comfortable pillows I’ve ever had in a hotel room, including years of business travel in Starwood and Marriott hotels. 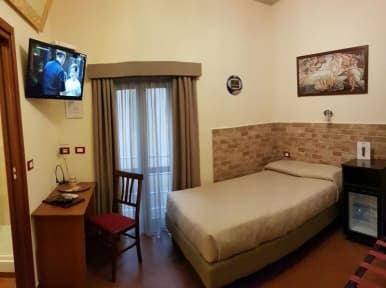 Would definitely recommend staying here when in Florence! Great place to lay my head for my short stay in Florence. No frills but how many do you need with everything in Florence within a 20 minutes walk? Great friendly staff, good location, good facilities. Amazing location. Wonderful place to stay if you are in Venice for a couple days! My stay at the Hotel Ester was great, they had a little problem with my reservation but they fixed it and gave us breakfast for the inconvenience , the staff is great! Very nice people. The location of this place is great! Highly recommended.